Twelve page pull out. 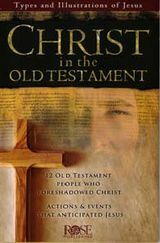 Twelve Old Testament people who foreshadowed Christ. Actions and events that anticipated Jesus.